How Far is Gangotree Suhrud? Located in the heart of the rapidly growing city, Pune. It has all which is necessary for the comfortable lifestyle. It rewards the residents with all the facilities required by the residents without taking away the necessary serenity and luxuries. Come and explore Gangotree Suhrud, a little world in its self where you can enjoy your life to the fullest and experience the enriched living with your loved one. 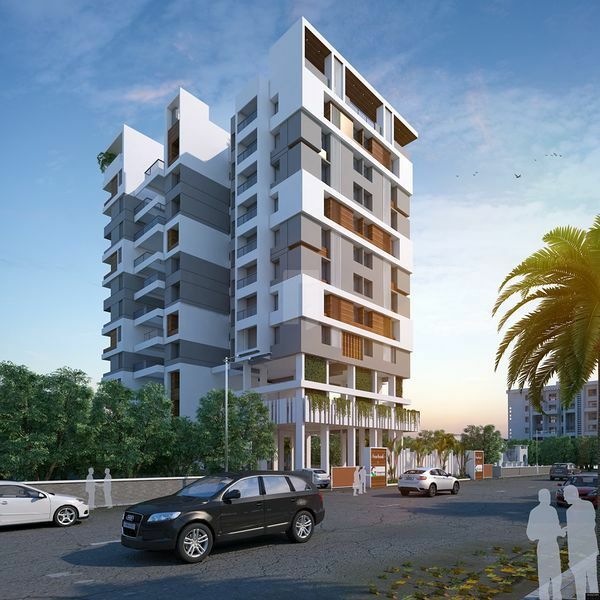 The project offers 2BHK flats for sale in Erandwane, the size of flats is 810 Sq ft.
Gangotree Suhrud is developed by one of the well-known developers in Pune, Gangotree Green build. The project is located in Erandwane, one of the ideal locations for home buyers in Pune. this environment-friendly project has a good floor plan which provides spacious rooms for you to live a hassle-free life. An investment in Pune city, that will help you to save your money and help to save the environment also. Gangotree Suhrud is located in Pune at Erandwane locality. Pune is growing rapidly every day, come and be a part of this city which offers many benefits for the residents. This place has good connectivity across the city along with premium amenities which make the resident's life enjoyable. Come and be a part of this amazing project and find happiness for your family. The Gangotree Greenbuild started its journey in the year 1997 as a professional engineering & contracting firm. The company has involved itself in providing commercial, institutional, industrial and residential projects across Maharashtra. The extensive management with experience is the assets which helped Gangotree Greenbuild to carve a niche as builder and developer with a difference. With the experience and experience in planning, sequencing and scheduling timely completion with commitment. Gangotree Suhrud is an example of amazing work done by Gangotree Greenbuild, the project is located in Erandwane locality. Commitment, quality, innovation, excellence, and trust, with these values Gangotree Greenbuild has created landmarks. Gangotree Greenbuild has a group of professionals who are expert in their own field, who makes sure the projects are built with quality. Gangotree Greenbuild has constructed many projects till now, some of them are Gangotree Prathamesh, Gangotree Greenbuild Priyadarshan, Gangotree Niramay, Gangotree Pooja Niwas and the list goes on. To be a leading name that is unanimously chosen for its quality, credibility and creativity, to deliver the best in class building consistently and to add value to our customers' lives in more ways than one.